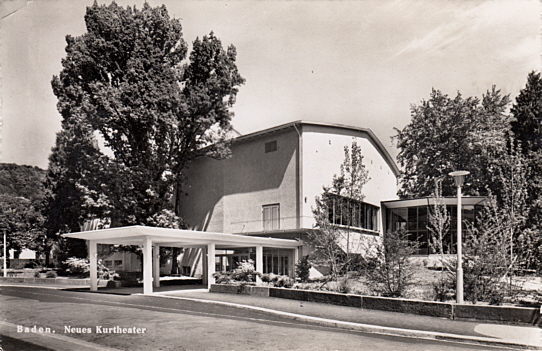 Built 1952 by Lisbeth Sachs. 611 seats. Used for touring performances. 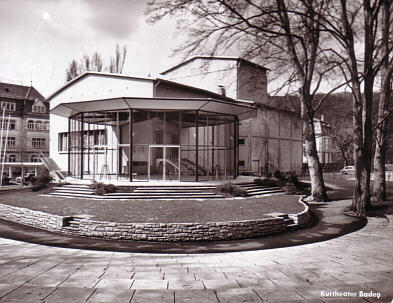 Front Text: "baedn, Neues Kurtheater"